Your busy life science laboratory demands performance and flexibility — count on the Thermo Scientific BioMate 3S UV-Visible spectrophotometer to deliver. With stray light and noise specifications comparable to instruments two or three times the price, the new, compact Thermo Scientific BioMate 3S saves you valuable bench space. The BioMate 3S offers pre-programmed assay methods for nucleic acid and protein concentration as well as cell culture measurements. Warranty and Service Offering: One year on instrument; lamp is warranted for three years of continuous use. 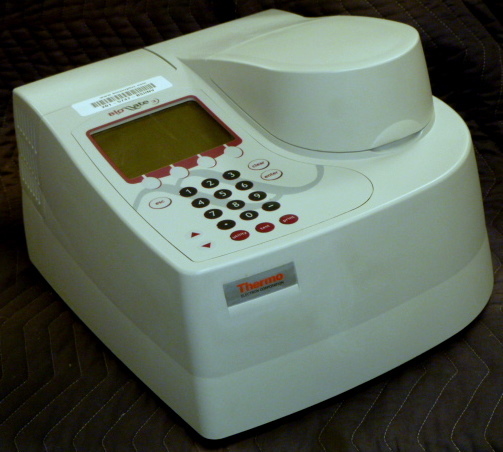 The BioMate 3S is a highly configurable instrument, adaptable to the needs of the lab. A variety of accessories adds convenience and provides Peltier temperature control, automation, and fiber optic sampling.